You probably never thought you'd be told to aspire to be like a turtle, but today that's exactly what I'm telling you. 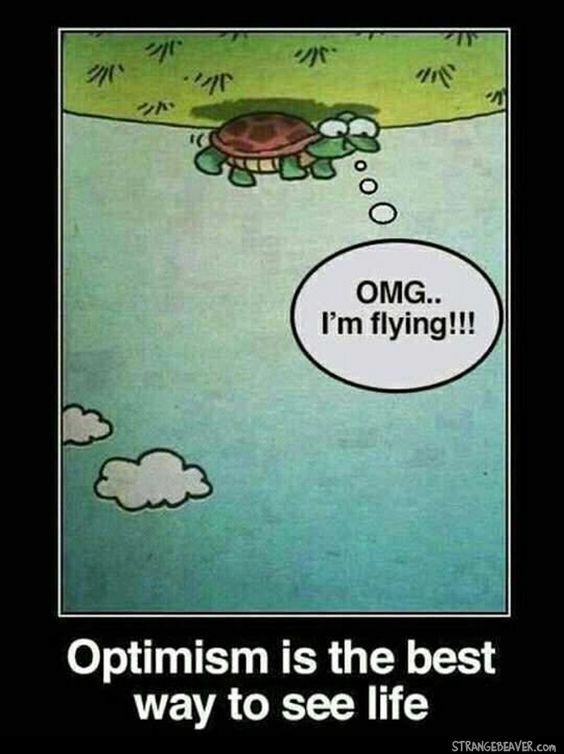 Be like this turtle. Even though his world is literally upside down, he's still so optimistic about his circumstances. You can't hope to make a bad situation better if you continue to think of it in a negative way.